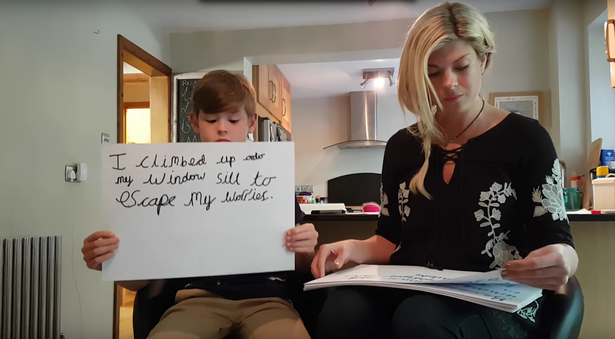 But when Lindsey Morgan caught her eight-year-old son climbing onto the ledge of his bedroom window she was to discover the devastating reality that he wanted to end his life. "Being asleep is easier than being awake," little Rex told her, explaining that he wanted to "escape his worries." Rex, who has high-functioning autism , struggles to deal with overwhelming feelings of anxiety and finds being in a classroom especially difficult. Now aged nine, the youngster has almost entirely dropped out of school, as mum Lindsey, from Farnborough, Hampshire, claims the system is failing her son. Speaking exclusively to Mirror Online, Lindsey said five years ago Rex was brimming with excitement about starting his education. "As with most young boys, his behaviour occasionally gave teachers cause for concern, but my main worry was at home," she said. "He would come back in a violent rage and as his first year progressed and other children blossomed, Rex became increasingly confused and frustrated by school and by his own inability to understand anything around him." Lindsey said her little boy couldn't sleep and started to lose his 'zest' and 'wonder in the world', so begged doctors to assess him. In 2013 Rex was diagnosed with Autistic Spectrum Disorder and Lindsey hoped it would be the start of getting him the help he needed. But in October last year that she was faced with a shocking scene as her little boy stood on his own windowsill, preparing to take his own life. "It takes unimaginable strength to share those fears and I'm proud of Rex," she admitted. But the mum-of-two now worries everyday about what her son might do next. 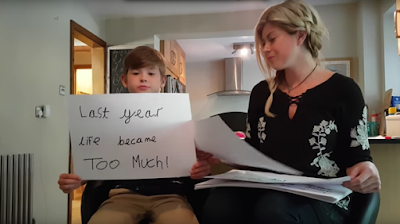 Lindsey, who also has a four-year-old daughter called Lilia-Vida, says her son is concerned about how well he is going to do in life because of how difficult he finds being in a classroom. She said: "Rex explains that learning in his classroom is like trying to listen to classical music when there's one hundred TVs on different channels at the same time. Lindsey said: "Rex needs to attend a more specialised provision, where he will learn much needed life skills, to organise himself, be helped with his social communication and sensory challenges and he will be happy." They have been to visit a school that would suit Rex and Lindsey said this visit was the first time she has seen her son truly happy. 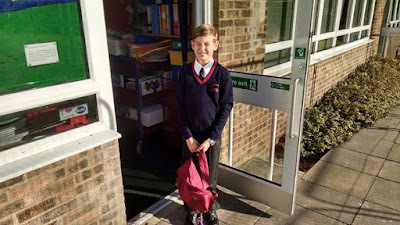 "Rex is a bright an brilliant boy with huge potential, and seeing him stifled in his educational years through the lack of support he is entitled to is heartbreaking. "As we have discovered, this seeming reluctance by the local authorities to provide the appropriate level of support is typical for many children with similar challenges countrywide. "I hope Rex's will be a benchmark case that will encourage others to not give up." The family now have a tribunal set for November where they aim to overturn the local authorities ruling on their application for an EHC plan.